1.Clark, B., & Scott, I. (1989). Aster Aweke. Retrieved from EBSCOhost. 2.Edwards, M. (2004). Nubian sunrise: Ethiopiques CD series brings music treasury to light. JazzTimes, 34(6), 40. Retrieved from EBSCOhost. 3.Kebede, A. (1975). 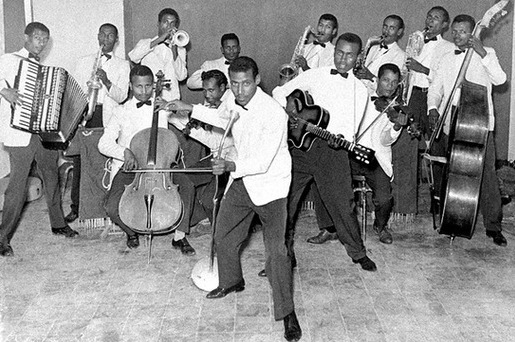 The Azmari, poet-musician of Ethiopia. The musical quarterly, 61(1), 47. Retrieved from EBSCOhost. 4.Kimberlin, C. (1995). Traditions and transitions in Ethiopian music: Event as a catalyst for change. In Retrieved from EBSCOhost. 5.Powne, M. (1969). Ethiopian music - an introduction. Nuova rivista musicale italiana, 3(2), 338. Retrieved from EBSCOhost. 6.Sofa, M., Asamarom, K., Kabrazhi, K., Kimberlin, C., Aga, A., & Abdi, L. (1990). Ethiopia III: Three chordophone traditions. Ethnomusicology: Journal of the Society for Ethnomusicology, 34(1), 196. Retrieved from EBSCOhost. Webographer Zach zjs07, Alex amm09e, Kara Kara_Kozloski, Claudia Claudia Nieblas, Hannah Purseglove hmp08, Hannah Buckley, Eduardo, Amber Amber_Peffer, Tim tkj07, all contributed. Claudia Nieblas ultimately compiled the information and organized it under the heading. Videographer All members will contribute to providing a list of at least five DVDs or online videos related to your topic.